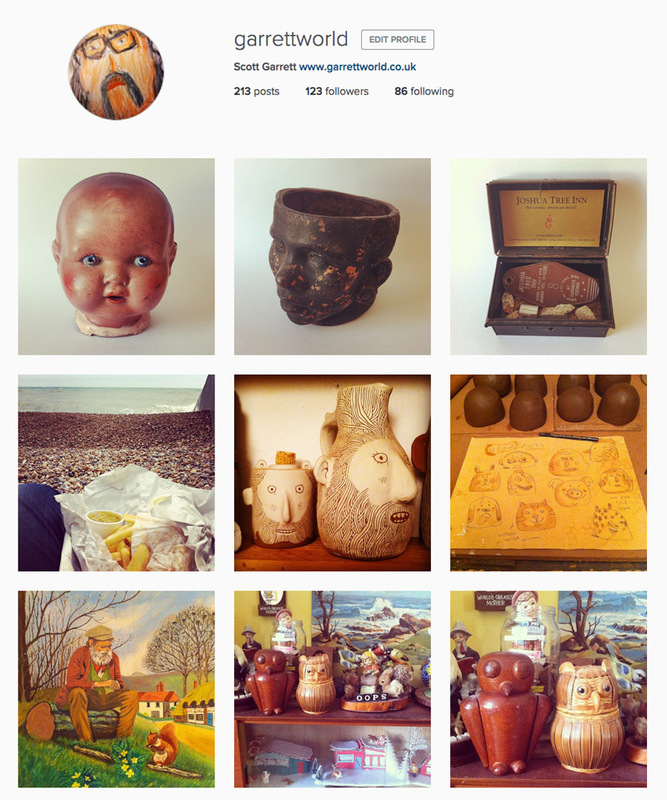 I've been seduced away from the blog by Instagram, that's where I'm hanging out these days. It works for me and there's always cool new stuff to find. Twitter's dropping off my radar, it's too relentless and in my mind you have to be either in or out, it's not for dropping in and out of. Blogging is great, but way too little feedback, if there are no comments you get no feeling of support, as the stats are too unreliable and vague. Facebook works, but not all your friends want to keep being bombed by your arty snaps! I keep that more social. Instagram is good. I like it. It's now my home for a while. Come and join me there @garrettworld. Dang it! Instagram is firewalled in my workplace, so my visits to Garrettworld will have to wait until weekends and occasional evenings, but i'm glad you've found a 'social media home' that works for you Scott, it's so important to get that support and feedback when you need it. Weirdly I was mulling over the same subject the other day. Now that I have 'products' that I want to actively promote I really need to get my online prescence felt again, as my own website has been lying in a state of desolation for nearly two years. But I still havn't decided which one to plump for yet, just looking at the pros and cons of each one. Interested to see what you do. I'm going to re-birth my Big Cartel shop soon for the pots i'm trying to get done to raise funds. Then i'll Facebook that… i could really do with a separate page, i have a garrettworld page on fb, but i don't know if it's set up right, but i might kick that along and keep social and work stuff separate on fb. good luck with those pots Scott! (i think a Blue Peter style 'totaliser' to show the amount so far collected, with flashing lights on the side might help?) Yeah, facebook in the first instance is probably the way to go. My problem with social media in the past is the amount of effort it takes to maintain a regular blog etc, versus the tiny amount of response it generates, so my interest usually wanes pretty quickly, as i feel my time could be better spent on actually making stuff! that's where fb is easy to maintain and has good reach, and easy simple feedback. It has a tonne of flaws though. Good for getting stuff out there though.